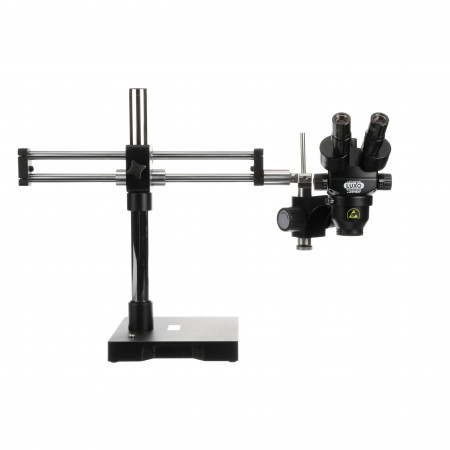 ESD-Safe System 373 Trinocular and System 373 TRU Trinocular Stereo-Zoom Microscopes are ideal for training or documentation purposes. With their industry-leading 23mm optical system and nearly 8” working distance (when used with a 0.5X reducing lens), System 373 microscopes feature an expansive magnification range — with optional eyepieces and objective lenses, optical magnifications can reach nearly 300X! 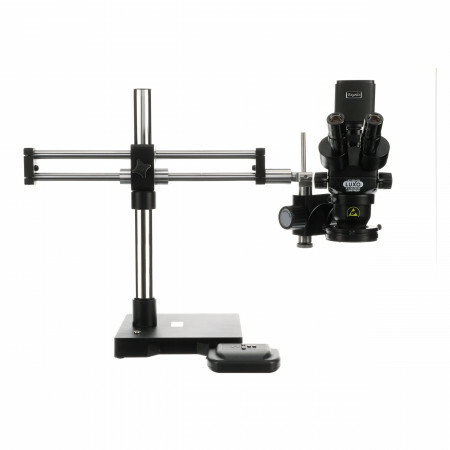 TRU Trinocular models allow the user to simultaneously view images on screen and through the eyepieces (requires digital camera and computer, sold separately). ESD-Safe models are the best choice for use in static-sensitive environments where electrostatic discharges can prove fatal for electronic components. Microscopes come standard with 10mm static grounding cables, metal boom stand bushings and metal pads on the microscope base. 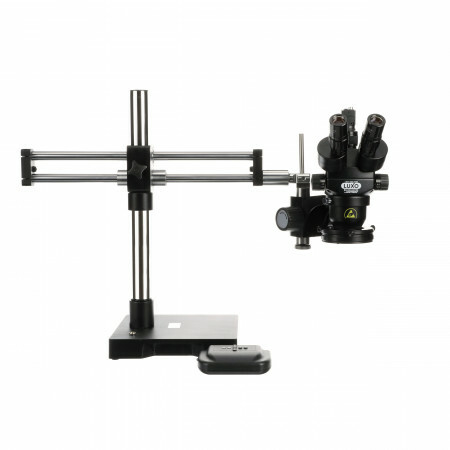 The body and stand of each microscope are powder-coated with a metal-laced paint that measures 105 Ω/sq. (static dissipative). Since the surfaces are no longer insulative, triboelectric charging results in drastically lower voltages by uniformly distributing any charge (under 50 volts) throughout the entire surface of the microscope.